Please meet Bianca Hutin. 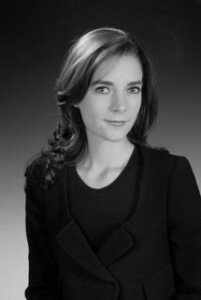 Holder of a Bachelor of Business from the University of Sydney (Australia) and a Master in Management from IE Business School in Madrid; Bianca Hutin has worked in the auction house Sotheby’s, the Haute couture house Christian Dior (LVMH) and in a communication agency dedicated to cultural institutions. Bianca Hutin has always been strongly passionate by art and “out of the box” projects. Her objective is to create value in highly innovative projects, by challenging conventional thoughts, and actively engaging to convert ideas into reality. My Web’Art isa premium online meeting point for Art lovers, available 24/24, 7/7, anywhere in the world, enhancing the experience of selling and purchasing works of art on the Internet through a sophisticated web portal. My Web’Art allows artists to be known internationally offering an alternative to traditional points of sales such as art galleries, auction houses, etc. The idea is to present high quality artworks. On the platform will be presented artworks from well-established artists, but also from young talented artists, to be discovered. My Web’Art is specialized in the field of contemporary art, digital art and photography. My Web’Art has been selected among thousands of startups to be presented at the next Web Summit organized in Dublin, from November 4th to 6th 2014. It’s the WEB EVENT of the year: more than 500 speakers, 10 000 attendees, 800 journalists… Big names will be attending; indeed the leaders of the largest tech companies will be present (Google, Facebook, Ebay, etc…). It will be a great opportunity to present them the platform. The objective is double: meet potential investors and make them buy on the platform, as most of them are also great Art collectors. To be listed in the online catalog, the art sellers need to pay an entry fee according to the chosen membership. The artworks are submitted to our Selection committee. This committee is composed of art professionals, art collectors and artists. The committee guarantees the quality of the artworks and the credibility of the artists presented on the platform. The selected artworks will be exposed on the platform thanks to very high quality images and videos, and thanks to the presentation of the artworks in a 3D space. A worldwide, premium marketplace for art, available all year long. One of the lowest commissions on the art market (80% paid to seller). An easy « door-to-door » shipping system handled by our team. A personalized art experience with a recommendation system included. Quality artworks thanks to our Selection committee. My Web’Art offers a service « all included », easy and efficient for the art sellers as well as for the art buyers: A revolution! The evening launch will take place on December 4th, 2014 in Paris. During the evening, artists selling artworks on the platform will be there, with few of their artworks. Global Immersion Experience 2014: Tel-Aviv – Día 1Vuelve Comprometi2.0 ¡Participa hasta el 31 de octubre de 2014!